Happy New Year members! Join us on Friday 30 January for a last look at Tiziana La Melia‘s exhibition and Elisabeth Subrin‘s film, Shulie (1997). We’ve invited Toronto-based artist and filmaker Iris Fraser-Gudrunas to contribute a one-hour track made specifically for the occasion. Enjoy a drink on the house with good company. 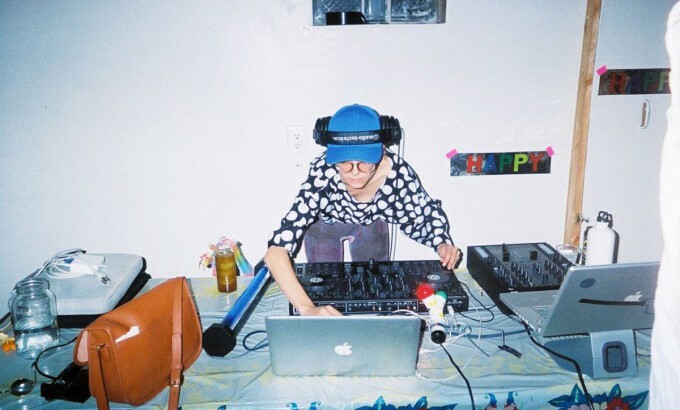 Iris Fraser-Gudrunas aka DJ <SIRI> is a multi disciplinary artist and filmmaker based in Toronto. As a DJ and party-thrower she haunts art openings and artist run venues such as Double Double Land as well as events like AGO first thursdays and Electric Eclectics She’s also known to take a simple gig and transform it into performance by employing a group of improvising male back-up dancers, outfits commissioned by artists along with a slew of installations and environs to create the right mood. That mood is sensual and optimistic and very committed to dancing.